What is the March 2019 Broad Core Update? But this doesn’t tell us a lot. We do know that most SEOs are reporting gains as opposed to losses, with some saying it looked like the position changes wrought by previous updates were being reversed. Another common theme, in contradiction to Sulivan’s characterisation, is that this update isn’t half as world-changing as we were first led to believe. 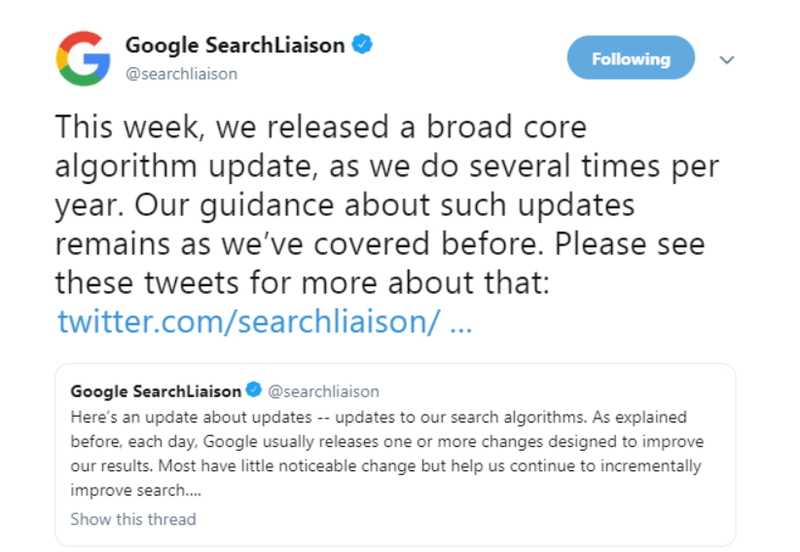 SEMrush, Brett Tabke of Webmaster World, and a few other notable figures and organisations, have issued statements to the effect that this update’s impact on SERPs is pretty routine, as updates go. Although in certain Black Hat communities, speculation has run to a general down-ranking of sites with heavily optimised anchor text and automated-link-building-heavy backlink profiles. 2) the majority of the sites affected negatively had been targeted by previous algorithms, the significant damage having already been done. Although Sistrix’s findings have not yet been confirmed beyond a national level, this may go some way to explaining this update’s ‘underwhelming’ reception. Without clear indications as to the update’s focus, many turn to research papers recently published by Google. These papers provide some context, in terms of what problems currently occupy Google’s best and brightest, but by no mean offer clear-cut answers. One such paper, titled Non-Delusional Q-Learning and Value-Iteration, deals with correcting bias in machine learning, though how to optimise for this kind of bias correction is a topic even more recondite. Another paper, titled Learning Groupwise Scoring Functions Using Deep Neural Networks, is more readily understood by the work-a-day SEO – or even the laymen. Essentially, this paper deals with re-organising SERPs based on the various dates of all documents (web pages) deemed relevant to that search. For example, a query like “Justin Bieber” will return many contemporary documents, and Google may infer that the user is interested in the latest news or tour information – or documents in some sense dependent on being contemporary. If, however, as in the case of a query like “Johnny Cash”, most of the documents are older, Google may infer the user is more interested in learning about the artist – or in documents to which the date is not relevant. Ultimately, however, it’s not at all clear which, if either of these papers’ findings, were implemented in the March 2019 Algorithm Update. Going further back – where’s Google going? Looking back over the past twelve months, we see that Google’s been hard at work. On February 13th, the Valentine’s Day Update saw high levels of volatility in US and UK mobile SERPs. Webmasters reached no consensus regarding the focus of the update, perhaps excepting that, like many recent updates, it focussed on relevance more than quality. Before that, there was talk of a Halloween update in October of 2018, but this was never officially confirmed by Google. Preceding this, September’s humble “Small Update”, dominated web chatter for a time, with many SEOs posting not-so-small wins and losses. As close as could be managed to consensus here was that the September update may have been a repeal of 2018’s Broad Core Update. Although it should be noted that webmasters who’d been hit by and reacted to the August update may have been seeing the fruits of their reparative labours. All of which takes us back to the August Update, the advice concerning which may be the most relevant today. What to do when there’s nothing to do? The dust having settled, there is a fair bit of actual advice from Google on how to react to the August update. And, it also being a broad core update, and for lack of better information, this advice may come closest to addressing the matter at hand. They have said that a drop-in rankings does not equal a poor site, but, essentially, a site lacking relevance to the user’s query. They have said that the Rater Guidelines are your best window into how Google assesses pages but have stressed that no ‘rater data’ is included in the search algorithm. They have said that telling people there is nothing to do is indeed helpful because it forces them to think “more broadly”. And in this they have a point. It is likely that this update is not concerned with an isolatable aspect like speed or links. It is, as its name suggests, broad. And it makes sense that rater data isn’t in the finished algorithm, it doesn’t mean it’s not useful. Since its founding in 2004, Purplex established itself as one of the industry leaders by helping businesses to reach new customers using a comprehensive SEO strategy. 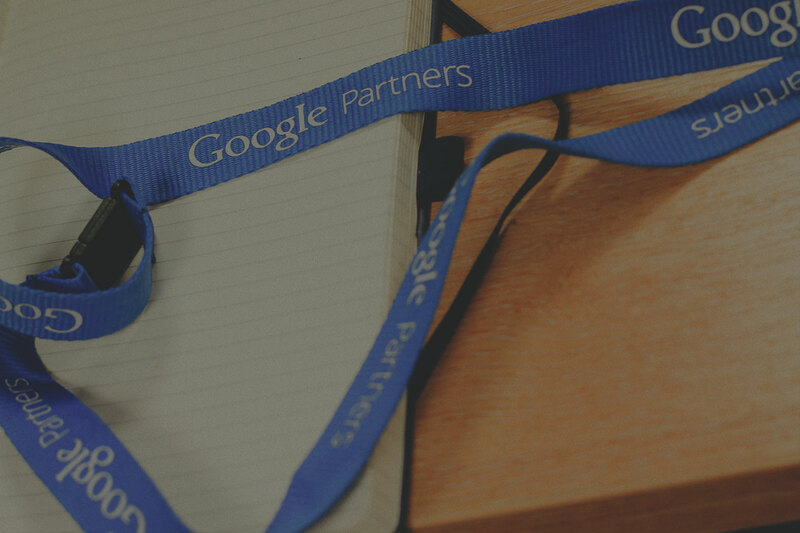 For more information about SEO, or any of the other services we provide, call 01934 808132 . This entry was posted in Digital Marketing by Ned Hallett.